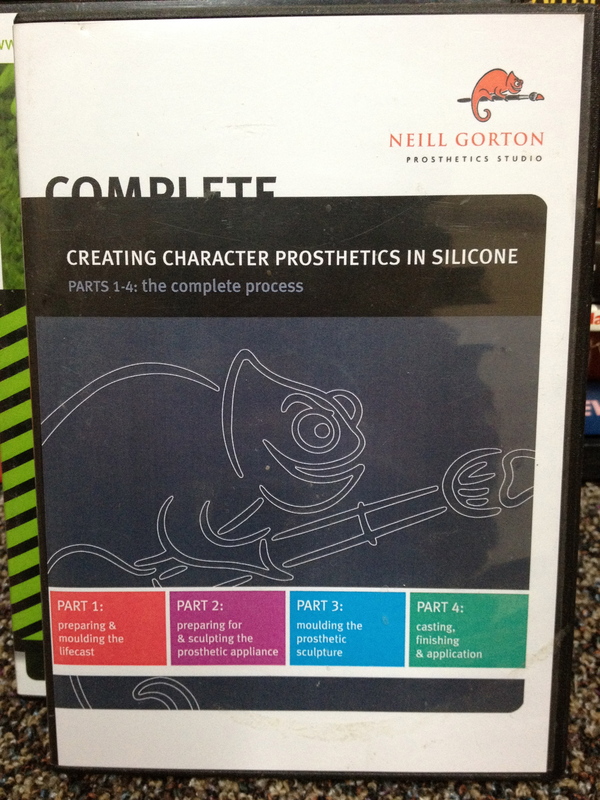 The Compilation Set of Creating Character Prosthetics in Silicone covers more advanced techniques than The Art of Silicone Prosthetics, the previous series from Neill Gorton of Millenium FX in the UK. Neill has pioneered the use of single-piece flexible silicone prosthetics over the past decade and his expertise in this area is second to none. It is available as 4 individual DVDs or in the Box Set. LEVEL: Suitable for people with a good general understanding of sculpting and mouldmaking. *Excellent for people wishing to improve their technique! The Creating Character Prosthetics in Silicone series covers the sculpting, moulding, casting, painting and application of a full-head appliance made in fibreglass multi-piece moulds, but unlike The Art of Silicone Prosthetic Series, which covers overlapping multi-part makeups, the makeup appliance in the Creating Character Prosthetics series is a one-piece cowl that is pulled over the head and then glued around the edges as required. A lip piece is made separately for ease of movement but otherwise the entire piece is integral. It can be painted, hair punched and finished before application. The Creating Character Prosthetics series Disc 1 also has one of THE most useful things I’ve ever seen- instructions or cleaning and correcting a life cast, right through to making a master negative of the life cast in silicone and fibreglass, which is essential if you are going to need multiple positives for moulding multipart or progressive makeups! For my money, (I have all of his DVD’s) I would get the Character series for the sculpting and moulding instruction alone, even if you aren’t planning to make a whole head piece just yet. As a matter of fact I did get this set when I was a total beginner, and had a go at it anyway. An excellent set to grace the shelves of anyone wishing to expand their skills in encapsulated silicone gel appliance makeups. It is available as individual DVDs or a 4 Disc Box Set. This entry was posted on Thursday, August 2nd, 2012 at 6:35 pm	and tagged with Creating Character Prosthetics in Silicone, making silicone prosthetics, Millenium fx, Neill Gorton, Neill Gorton DVD's and posted in MAKEUP & FX BOOKS & DVDS, Makeup FX. You can follow any responses to this entry through the RSS 2.0 feed.